Take in the beauty and bounty of fall during Autumn’s Colors at Longwood Gardens October 4 through November 18. 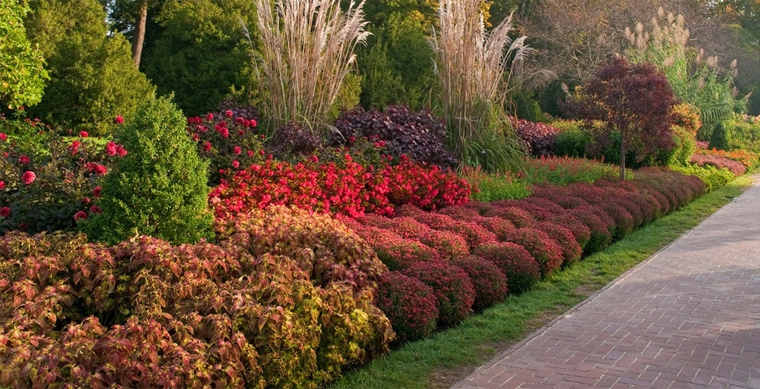 Throughout the season, warm hues paint the landscape as the air turns cooler amid one of the gardens’ liveliest and most colorful seasons. The Meadow Garden reaches a crescendo as late-blooming goldenrod, native aster, and warm-season grasses and foliage burst with vibrant color. 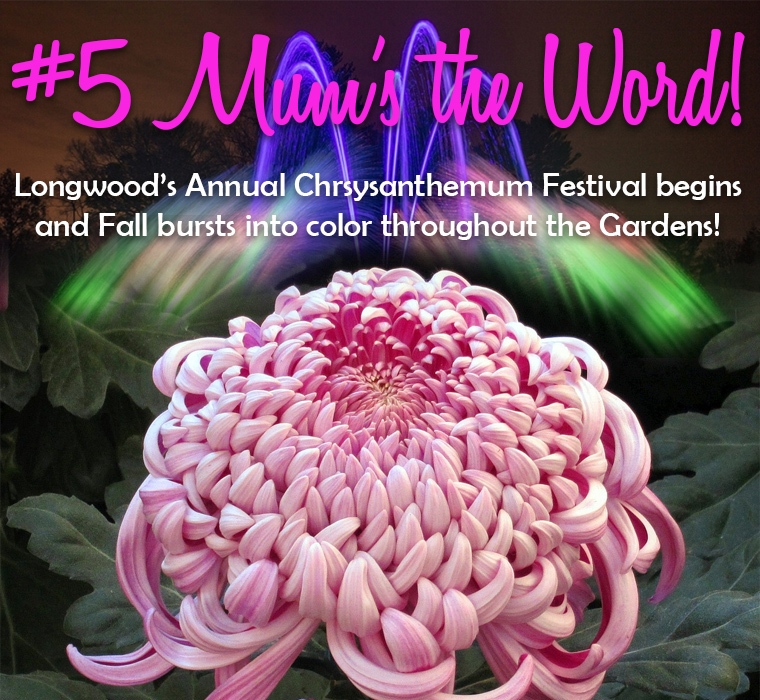 October 25th brings the arrival of Chrysanthemum Festival, which transforms Longwood’s 4-acre Conservatory into a vibrant visual feast of colorful Chrysanthemum blooms grown into unusual shapes and forms. The Festival is a showcase of the traditional Asian art of cultivating chrysanthemums into artistic shapes including spirals, cascades, and pagodas. 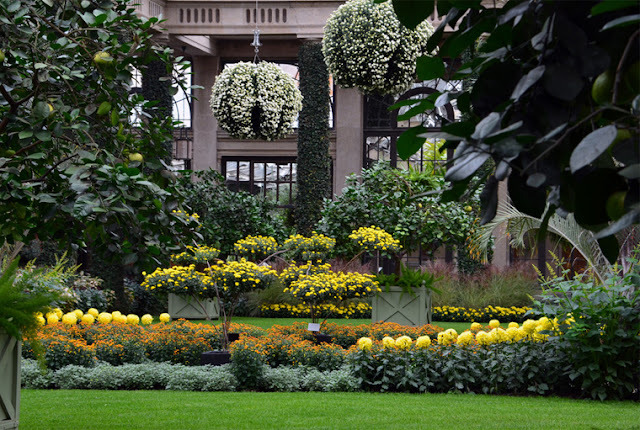 You'll also see a one-of-a-kind Thousand Bloom Chrysanthemum, a single plant that over 10 months grows to nearly 12-feet in diameter and boasts more than 1,400, perfectly uniform blooms, making it the largest chrysanthemum outside of Asia. Enjoy fountain shows daily through October 27, with extended hours on Thursday-Saturday evenings for live music in the Beer Garden and spectacular illuminated Fountain performances set to music at 8:15 pm. A focal point of the autumn season is the 86-acre Meadow Garden which reaches its peak in fall with sweeping fields of gold and brilliant foliage in autumn hues. The Garden Railway opens October 4 and features an enchanting display of G-scale model trains that ramble through a beautifully landscaped setting complete with miniature Longwood landmarks. Children of all ages will enjoy the Pumpkin Playground, on view September 29 through October 31. Young guests are invited to roll, pick up, move, and play with a variety of pumpkins found in this picture-perfect area of the Idea Garden.